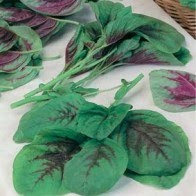 The edible Amaranth, or Chinese spinach as it is more commonly called, is an ancient food plant native to South America. So revered was it in ancient Inca and Aztec cultures that it was considered to be a sacred plant. Amaranth leaves are high in protein and although nutritionally similar to beets, Swiss chard and spinach, they are actually far superior. 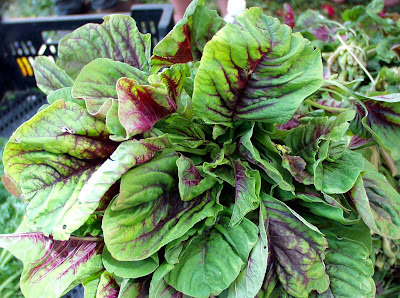 For example, amaranth leaves contain three times the amount of both calcium and niacin (vitamin B3) compared to spinach leaves. Because of their sub-tropical origins, edible Amaranth will do particularly well in warm climates, so much so, that it if you are growing it using the ‘cut-and-grow-again method’ it can be harvested a mere 30 days after sowing. When planting directly into the ground, amaranth seeds will germinate more successfully if they are sown into a finely prepared seed bed that receives adequate moisture. This can be done anytime from April onward so long as the threat of late frosts are over. However, it is more important to make sure that soil temperatures are averaging above 16 degrees Celsius - you will be able to sow them earlier if they can be given the protection of a small poly-tunnel. Of course, once the weather stays consistently warm the cover can be removed. Thinly sow the seed into rows 12 inches apart with each row spaced up to two feet apart. Cover with a 1/4 inch of soil, firm gently, and keep moist and weed free. 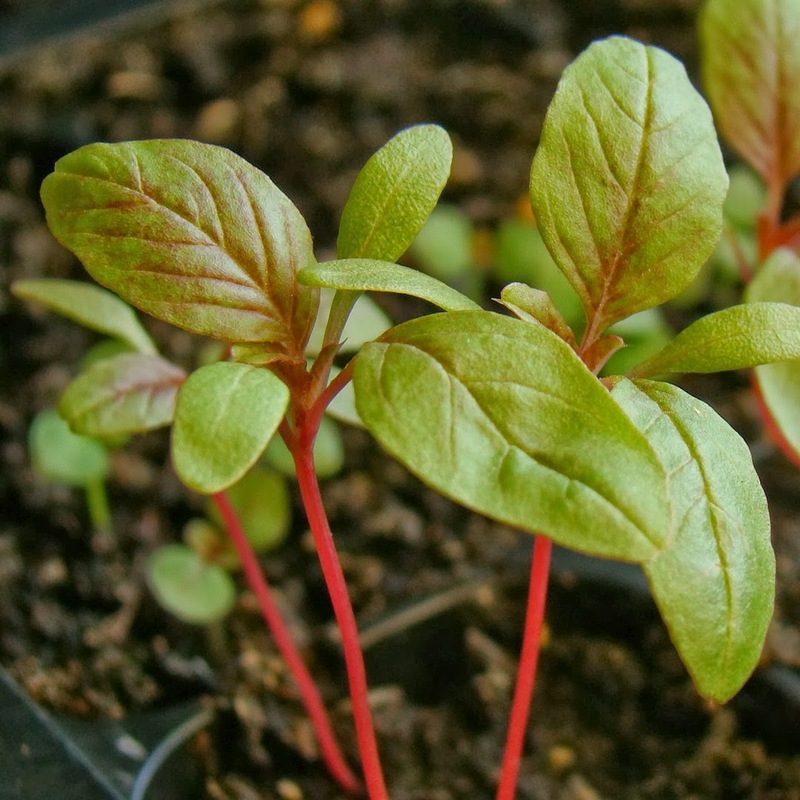 When they are large enough, thin the seedlings out to approximately 1 plant for every 3 inches when using amaranthus for baby leaf, or 8 inches apart for producing mature plants. If you wish, any thinnings collected can be eaten as you would do with baby leaf salad or they can be added as part of a stir fry. Some edible amaranth varieties can get quite tall and may need the support of canes. Check the height of you crop before you sow so that you can place your canes before the plants are of a size that the roots can become damaged by their insertion. In northern European climates, you should be able to harvest your first amaranths crop from June up until October. If you are using the crop for baby leaves, only pick a few leaves per plant. For mature plants, harvest leaves and stem from the top to encourage further side shoots. Remove any flowers as soon as their buds appear otherwise leaf production will come to an end.